Summer Camps at NBNC offer a safe place where children can interact directly with nature through observation, questioning and hands-on exploration. From flipping rocks along wooded streams to chasing butterflies through the fields, this is what a child’s summer should be. Every day we create memorable experiences in the outdoors and send children home with a renewed excitement of the natural world. Please review individual camp descriptions for more information. We offer camps for Preschool - Kindergarten, 1st - 3rd grade, and 4th - 8th grade. Become an outdoor artist, inspired by summer’s beauty. Paint with mud, draw with charcoal, create sculptures out of sticks, weave on a branch loom, and let your creativity flow. Do you like pretending to fly like a bird or lumber around like a bear? How about chewing like a beaver or making nests like a bird? Every day this week we’ll become different animals and explore their worlds through imaginative play! The fields, forests and river at NBNC are home to an endless variety of insects just waiting to be discovered. While gently swinging nets and flipping over logs, we’ll explore the habitats of NBNC for all varieties of six-legged friends. From birds to butterflies, moths to bats, if flying creatures are your thing, then this is the camp for you. Monarchs in the milkweed, warblers in the willows, dragonflies near the old dam — we’ll also sprout our own wings and take flight! Naturalists love finding stories in the land around them, and there are many stories to dive into here at NBNC! This week we’ll read or tell a different story each day to guide our fun and games. We’ll then adventure forth for our own tales & trails! What’s smooth, slimy, slithery, and lives at NBNC? All sorts of cool critters! Worms, snakes, frogs, slugs, ladybugs — we’ll look high and low as we go on some nature safaris to investigate how adaptations help these animals thrive under the warm summer sun. Which of our animal friends have fur? What is the function of fur? What other cool things do our furry friends have in common, and which ones make Vermont their home? Let’s learn about and celebrate our mammalian relatives! Pow! Zow! Zap! Who wraps up their lunch in something five times stronger than steel? Who tells the temperature without a thermometer? Who flies 3,000 miles without GPS or a phone? Come investigate the superheroes of the animal kingdom. Ever wonder how a fly sees, how water boatmen float, or why worms wiggle? Learn the secrets of these and other mini monsters as we explore the meadows, woods, and waters of NBNC. From busy beavers damming rivers, to eagles building big aeries, to ants who farm their own food, animals are amazing engineers. We’ll explore how animals craft their environment and then work together as humans to tackle some fun animal engineering challenges. Travel back in time to the late 1800s! Using Laura Ingalls Wilder’s Little House series as our guide, we’ll create a mini village and then “shrink” ourselves down and use our village to discover what life was like before electricity. Cooking, crafting, games! Join us as we search for signs of Bigfoot and Champ— and maybe even catch a fur-bearing trout — while exploring the various legends of mythic beasts that supposedly roam the fields, forests, and waters of our Green Mountain state. Cool off as we explore the North Branch River and some of its tributaries. How does this river shape the land around it? What creatures lurk beneath its surface? Can you make a floating boat out of natural objects? 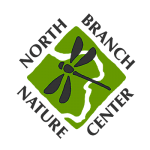 From birds to bats to butterflies, we’ll learn how nature takes flight by looking at the winged wildlife of NBNC. We’ll catch, observe, and investigate these curious creatures and do experiments to explore how animals defy gravity. Explore the amazing world of sun-catching superstars. We’ll make herbal first aid kits, dream pillows, and teas, and learn how to speak leaf language. Get the scoop on plants from pocket-sized to the towering plants of the age of the dinosaurs, and celebrate our plant neighbors. This week we’ll practice our outdoor living skills as we learn how to make use of nature’s many amazing materials. Build shelters with sticks found on the forest floor, learn how to prepare wild edibles, and more. What tools will nature provide? 9 am - 4 pm; Now open to 4th graders! We’ll explore some of Vermont’s birding hotspots, from the cliffs of Marshfield Mountain to the shores of Lake Champlain. We’ll even spend some time owling on Thursday night as we camp out to catch the early birds on Friday morning! The best anglers know all about the fish they target and the waters they swim in. We’ll study the history of Vermont’s wetland ecology and what fish eat, and visit a fish hatchery as we explore some of the state’s best rivers, lakes, and streams. Learn to see the forest for the trees as we jump down cellar holes, comb through abandoned homesteads, and walk old logging roads. This week we’ll untangle the intersecting lines between past and present. Our new camp for girls! We’ll explore primitive fire building and cooking, use natural tools for painting, weaving and basket-making, and seek out nature’s mysteries. Our week will culminate with an overnight primitive camping trip. For children entering grades 4-8 who identify as girls. Who loves nature and being with children? Each year we welcome a few students (age 14 to 19) to be Counselors-In-Training. If your teen is interested in spending two to four weeks as a CIT, please contact [email protected] Stipend available. All camps begin at 9 am (see age group for pick-up times). Children may be dropped off after 8:45 am. Post-camp after-care is available ($6/hour) until 3 pm for preschool camps and until 5 pm for all other camps. After-care is an informal extension of camp activities with supervised free time for games, reading, art projects and more. Space is limited; register early. Camp is often the highlight of a child’s summer, an opportunity to learn and explore in an environment very different from school. Thanks to the Agnes M. Lindsay Trust, our Campership Fund provides a limited number of partial and full scholarships, allowing families with limited means to send children to camp. If you need financial support to send your child to camp, please contact us! If you would like to help share the experience of camp or other Nature Center children’s programming with another child, please contribute to our Kids Need Nature Fund when registering your own child. Get ready to have fun, because summer field staff include some of your kids’ favorite year-round NBNC staff including Ken Benton, Carrie Riker, Zac Cota, and Harriet Hart. Each summer we also hire several fantastic additional staff: folks with backgrounds in teaching and experience in environmental science or outdoor education. Visit our website for more information about our top-notch staff. To register for our camps through our online portal, please Click Here. For questions or registration assistance, please call us at 802-229-6206. Spring is a great time to explore the Nature Center. Children in grades K-3 join us for one, two or three days of spring nature adventures and activities. We will make art using natural materials, explore the fields and forest for signs of wildlife, try our hands at wild edible cooking and give back to the land in celebration of Earth Day. This coming spring’s offerings will take place Monday-Wednesday, April 15-17, 2019 from 8:30-3:30.